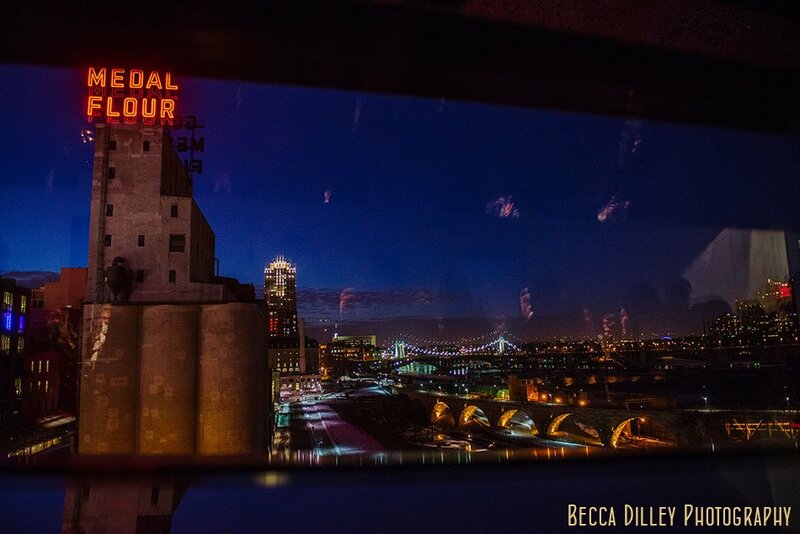 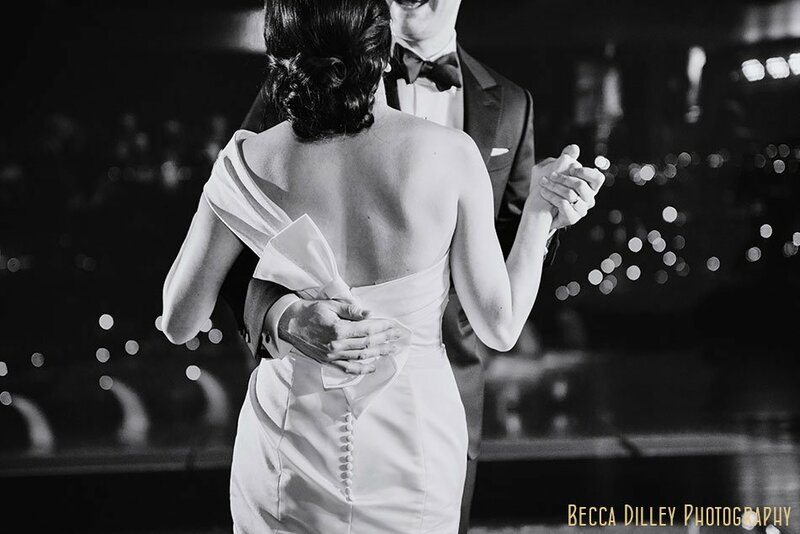 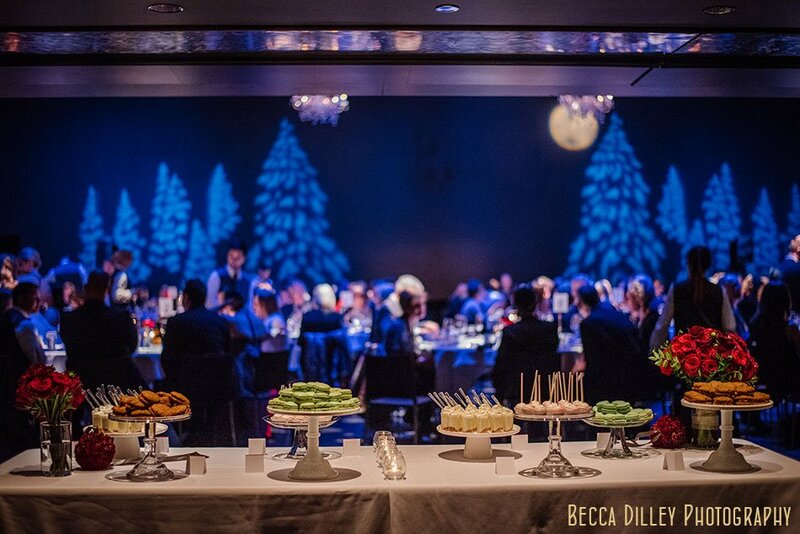 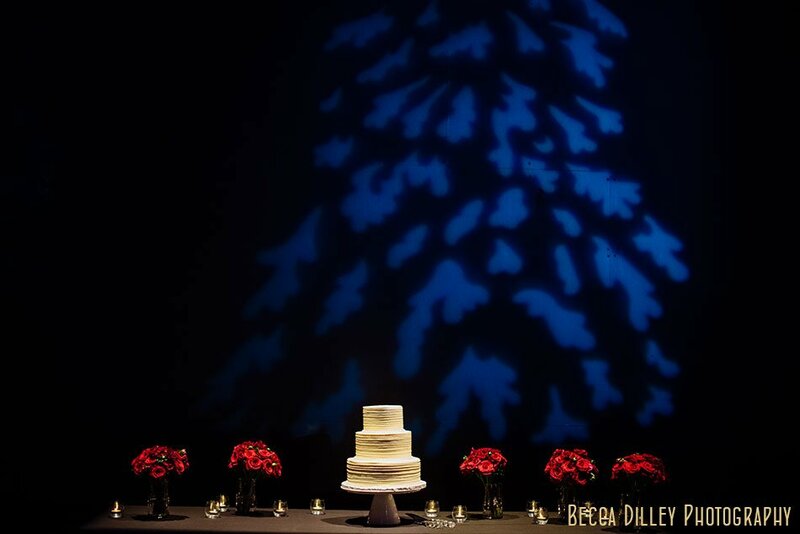 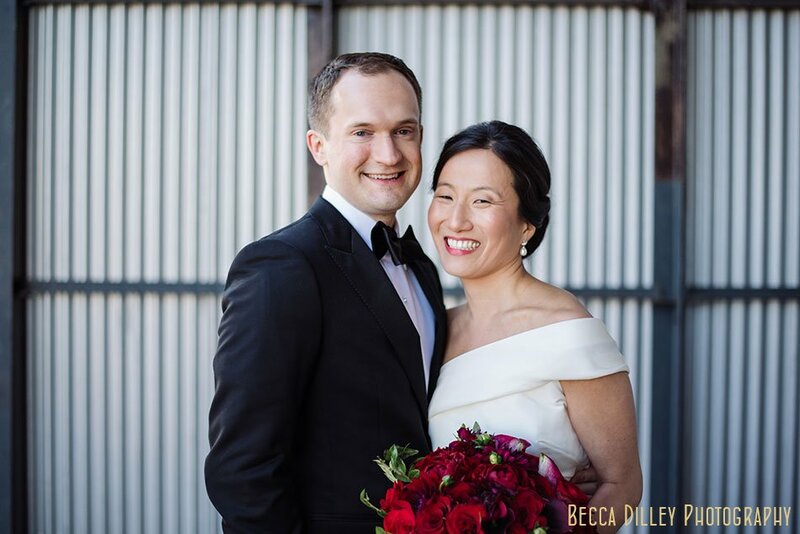 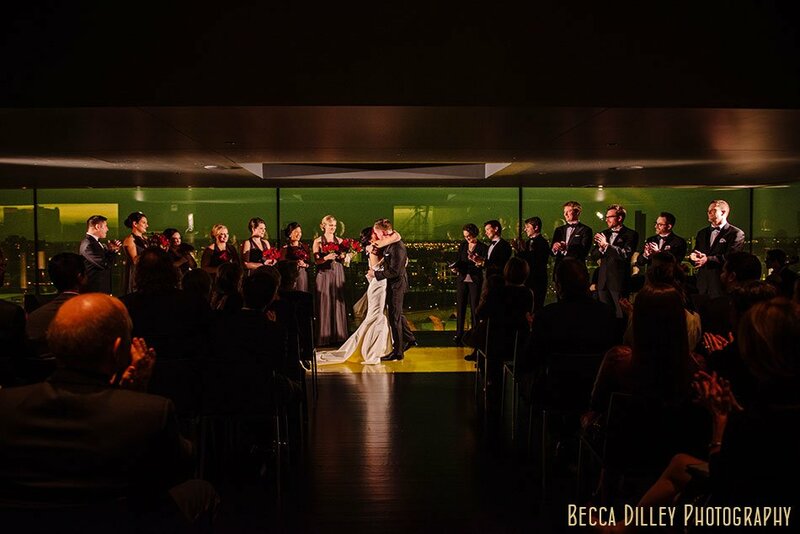 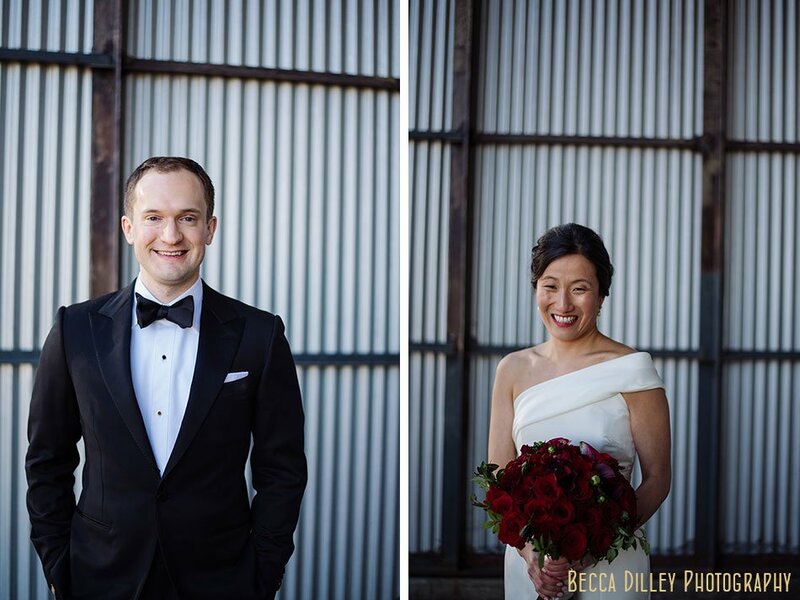 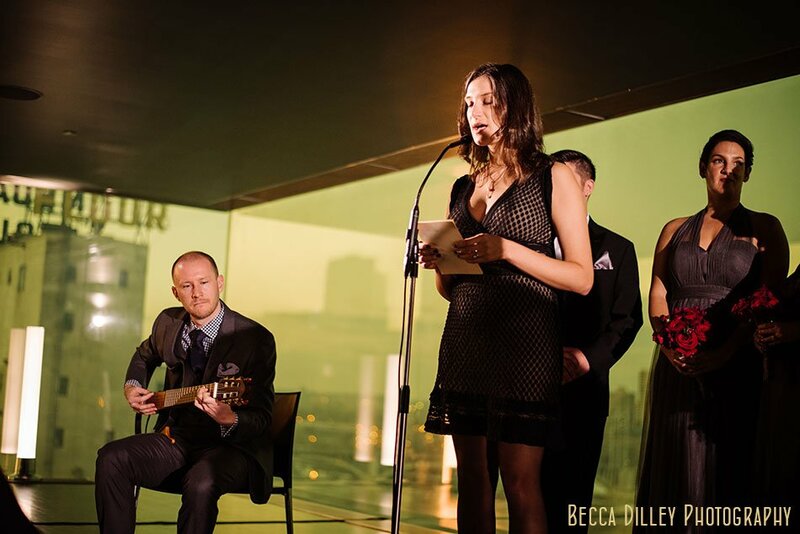 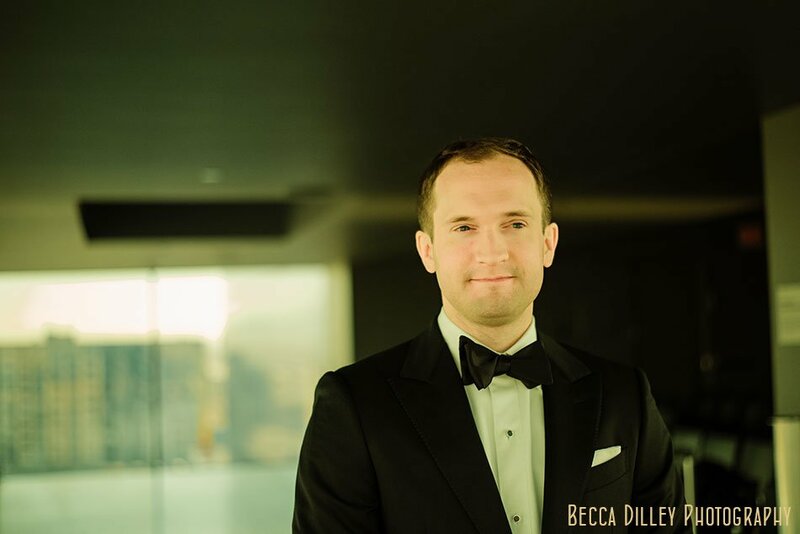 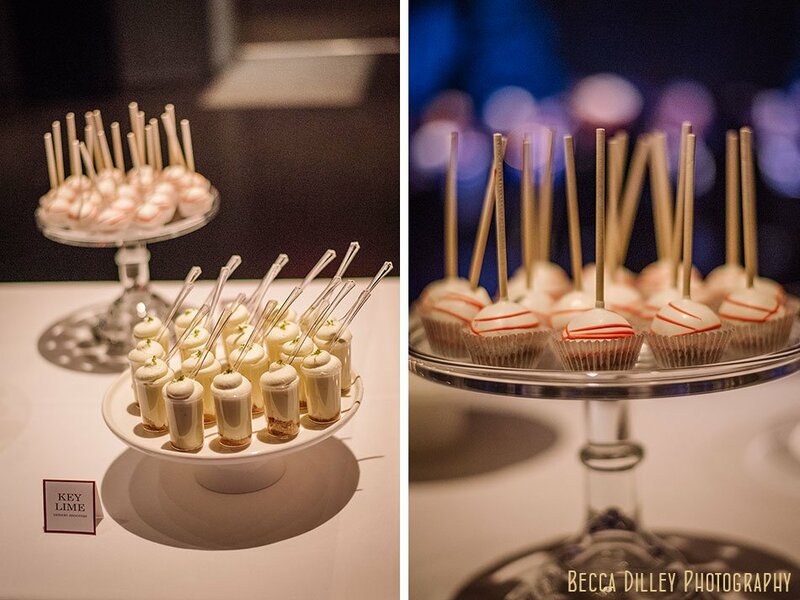 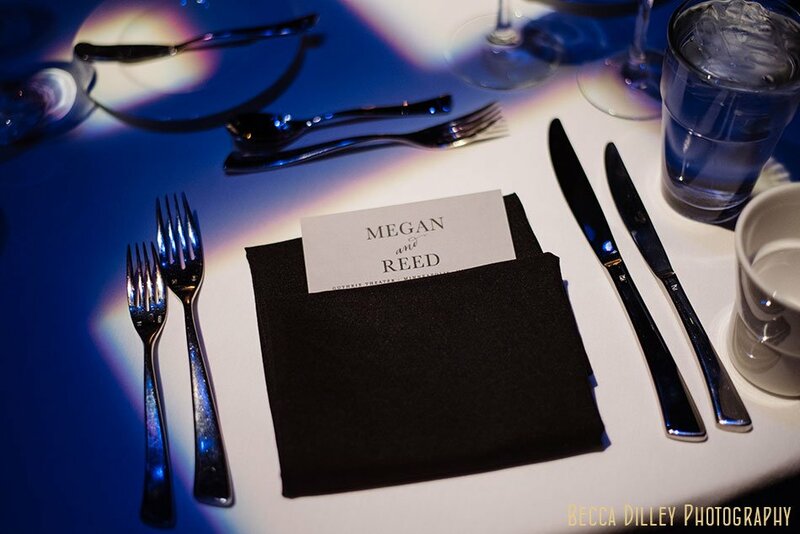 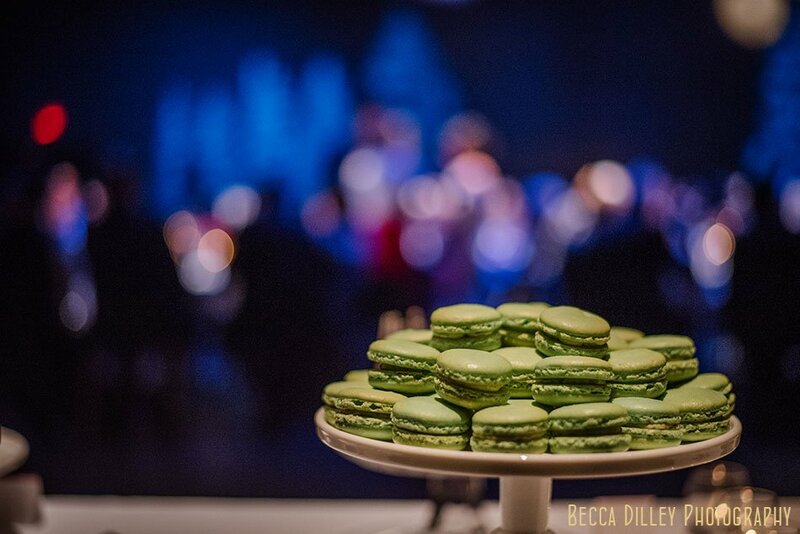 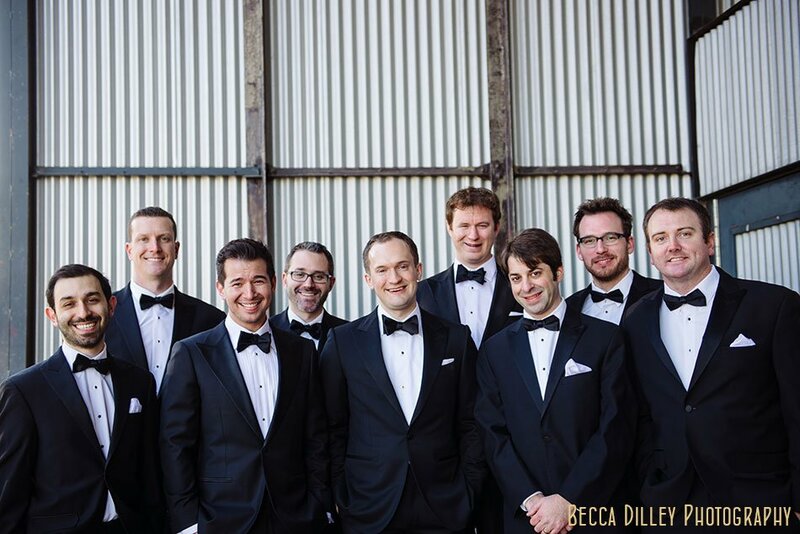 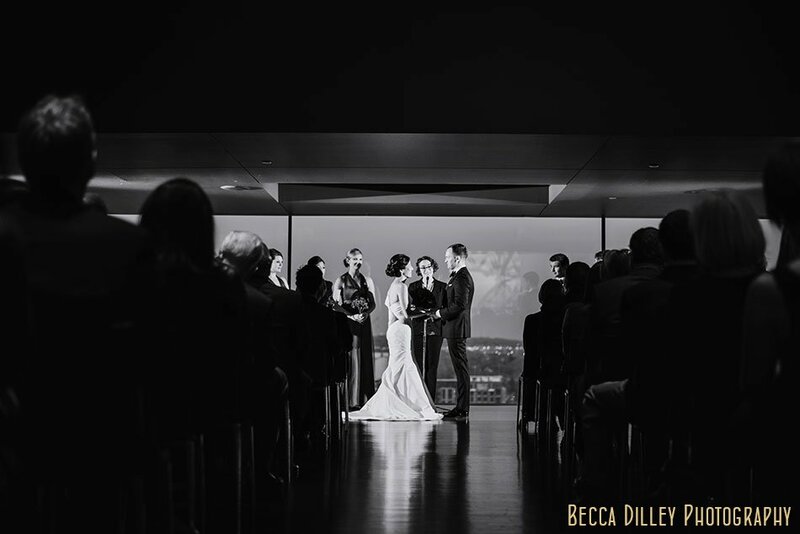 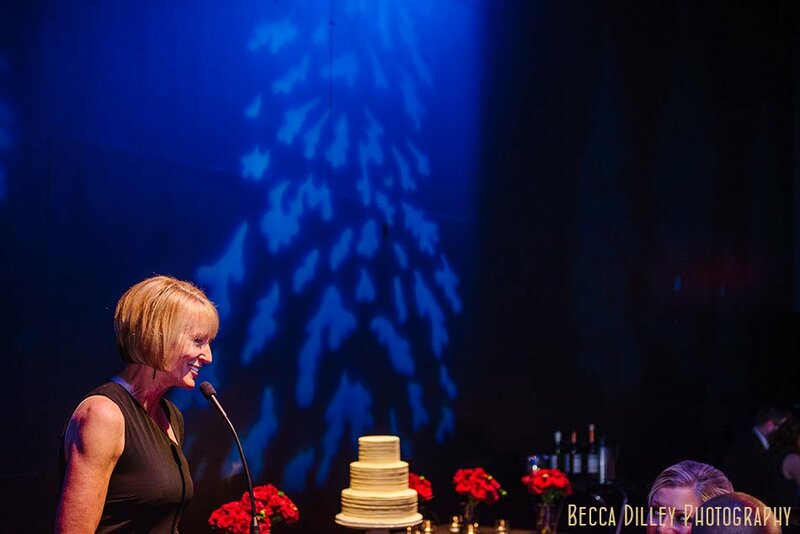 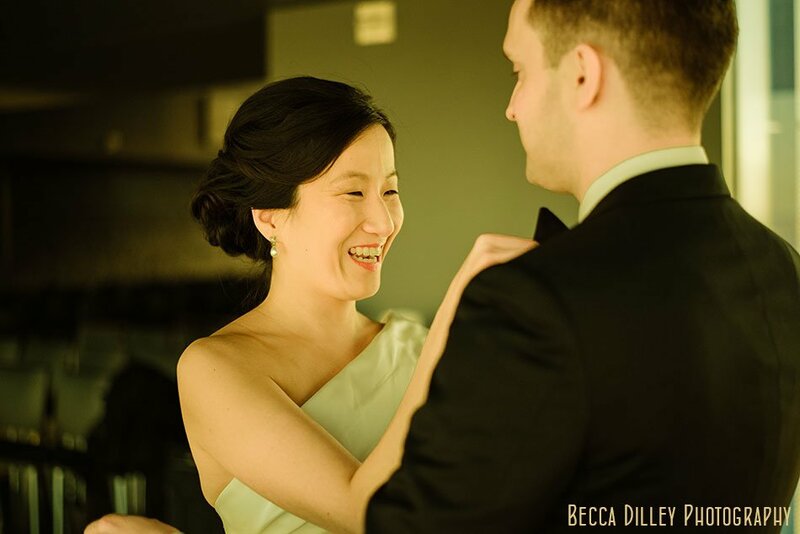 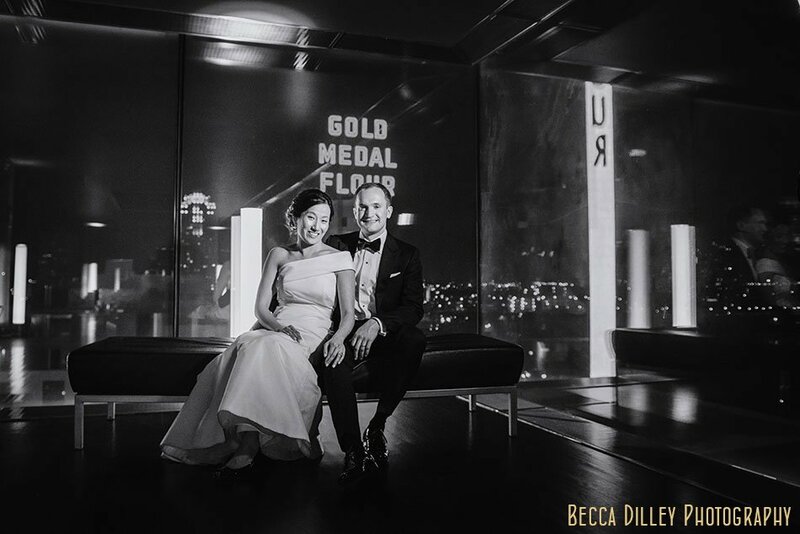 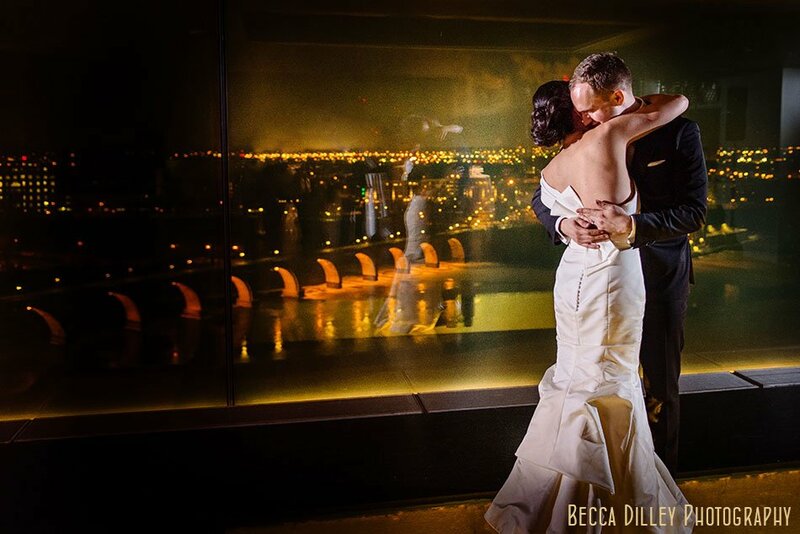 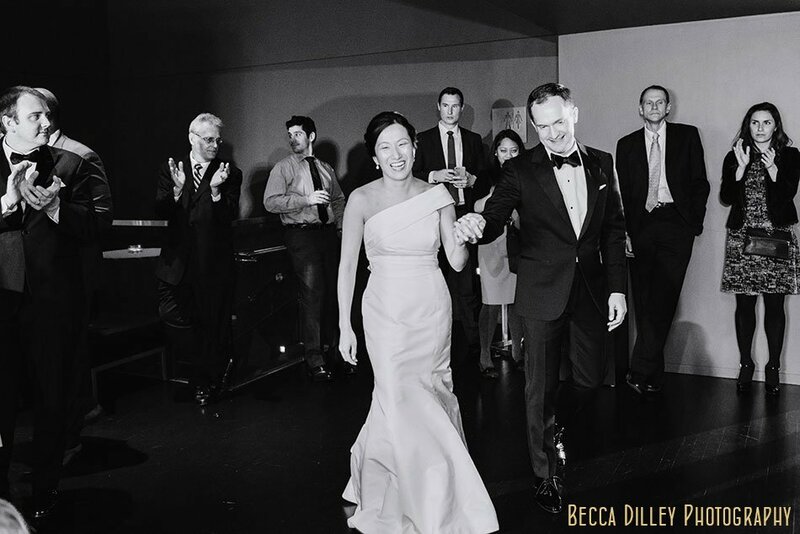 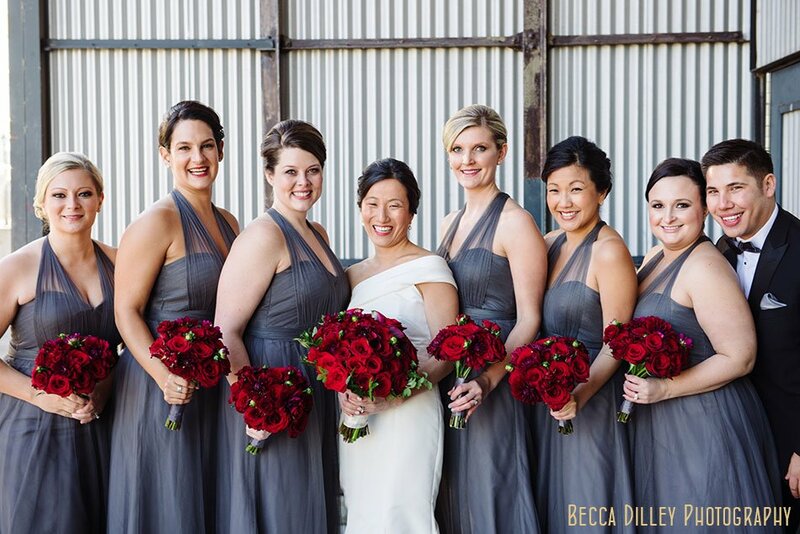 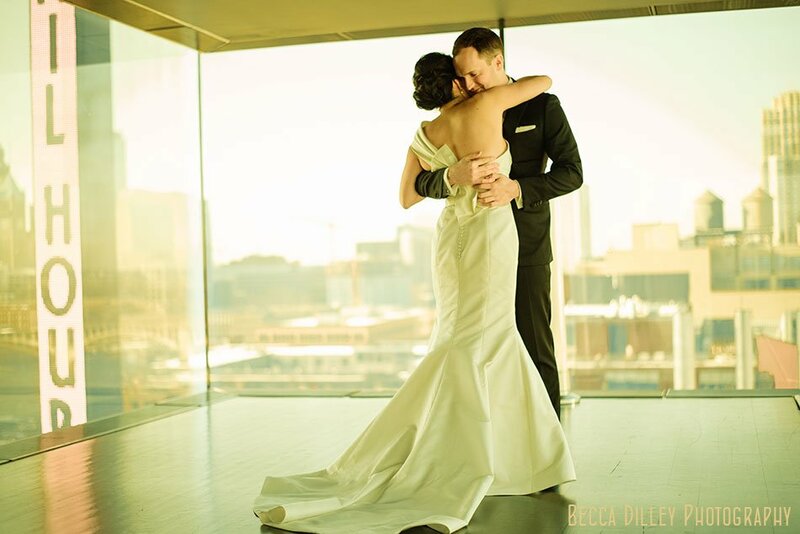 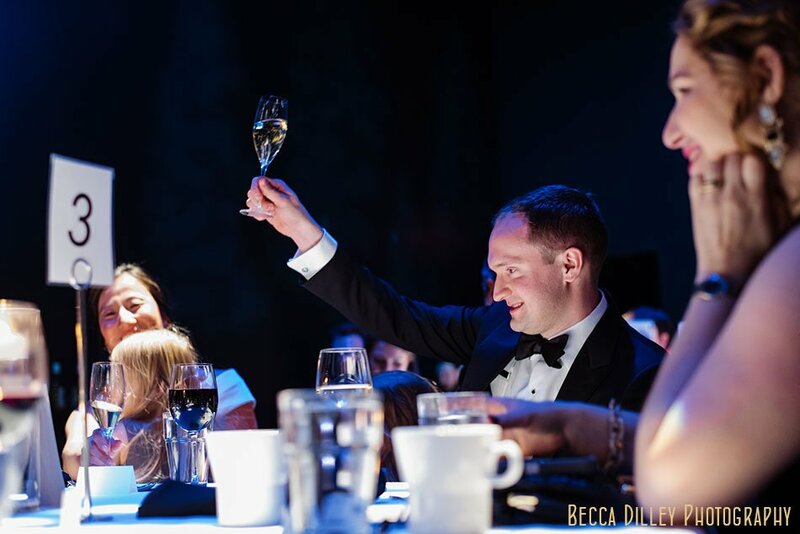 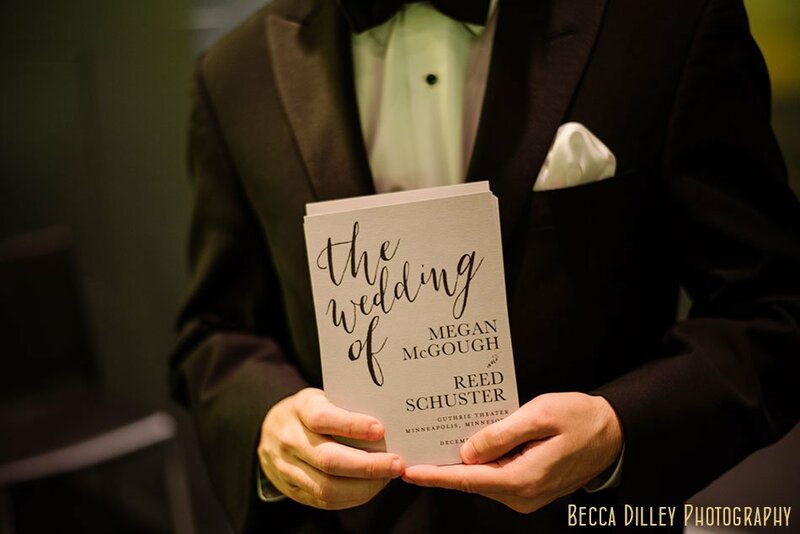 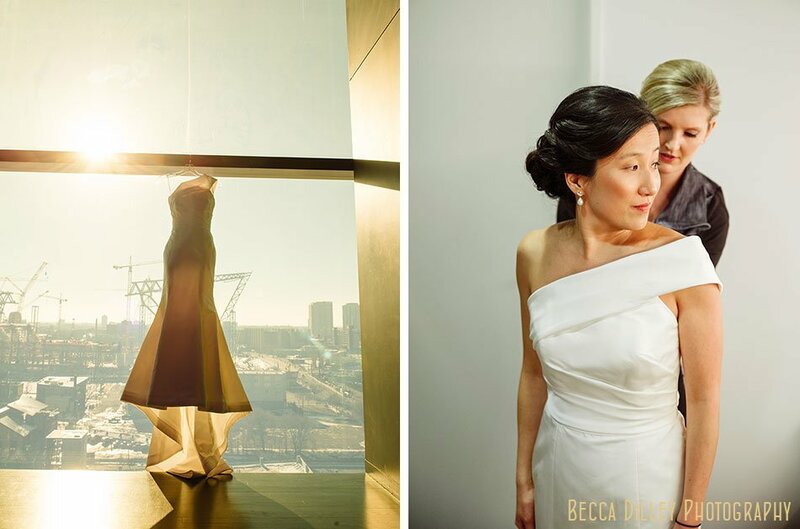 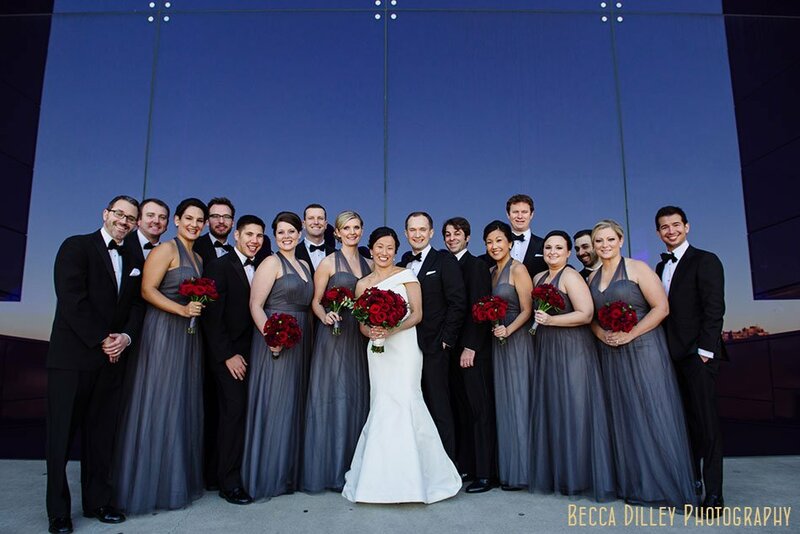 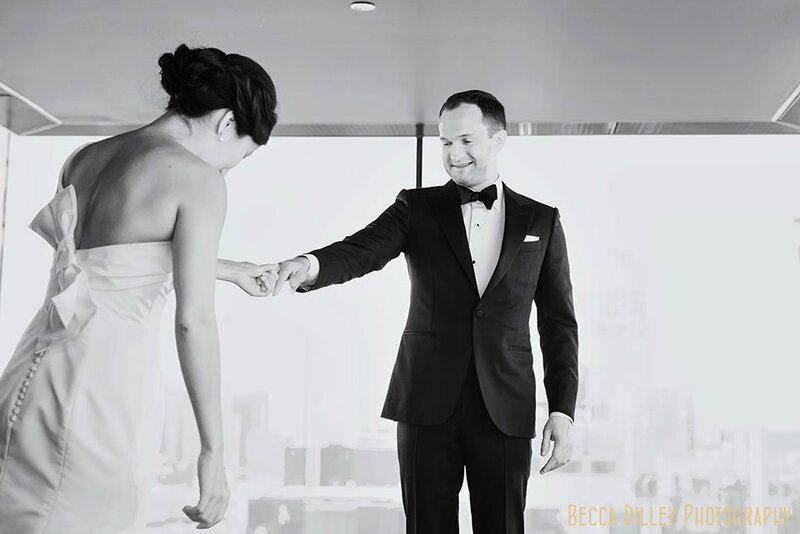 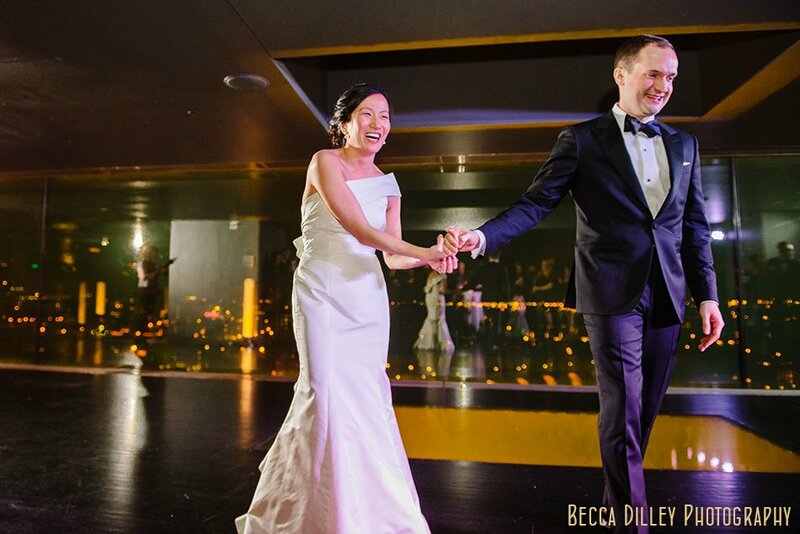 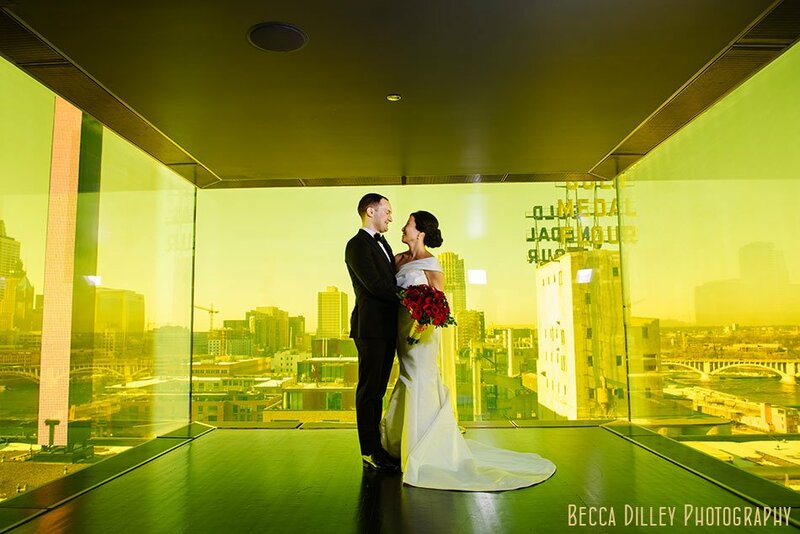 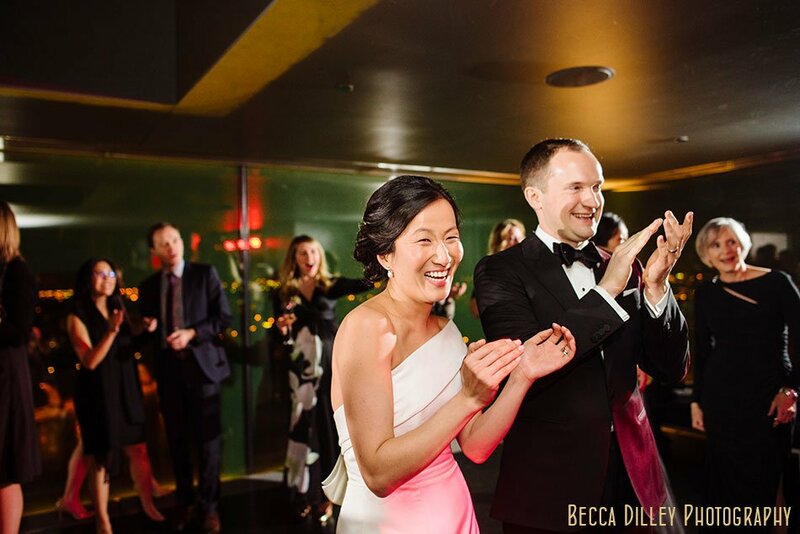 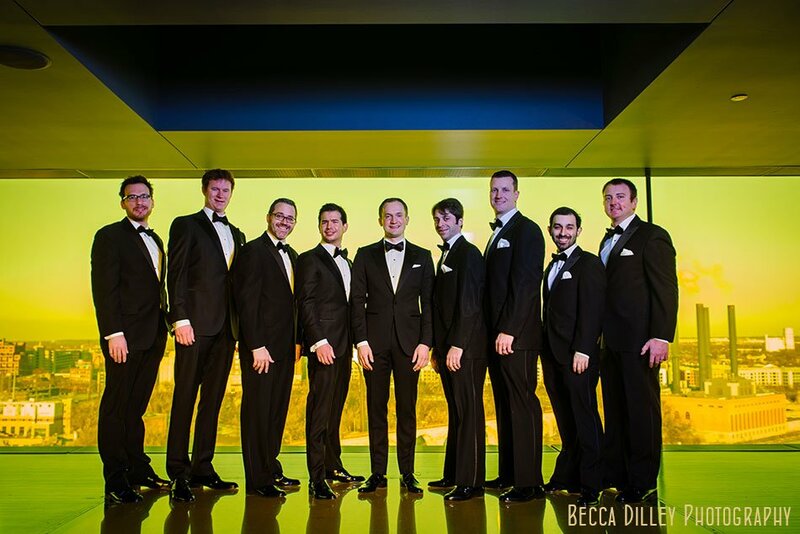 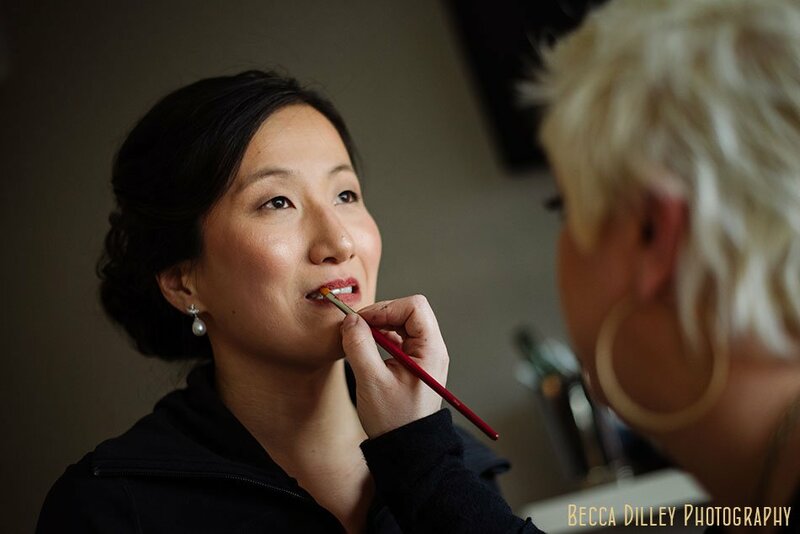 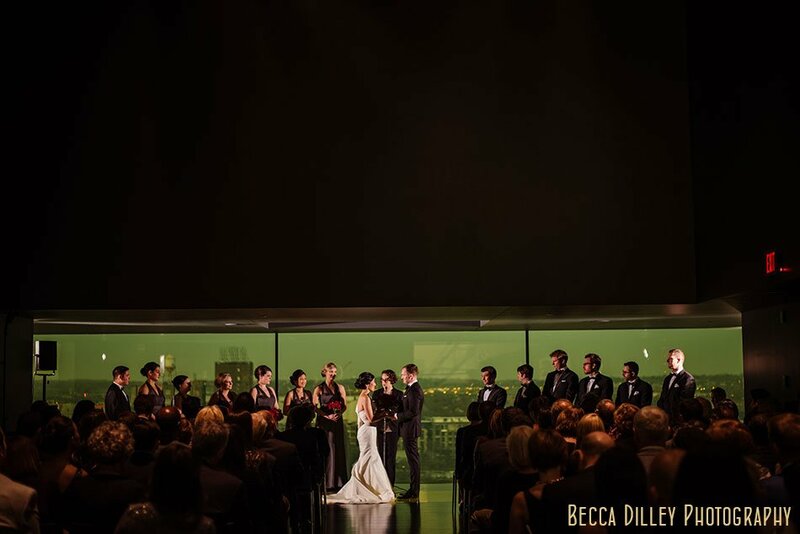 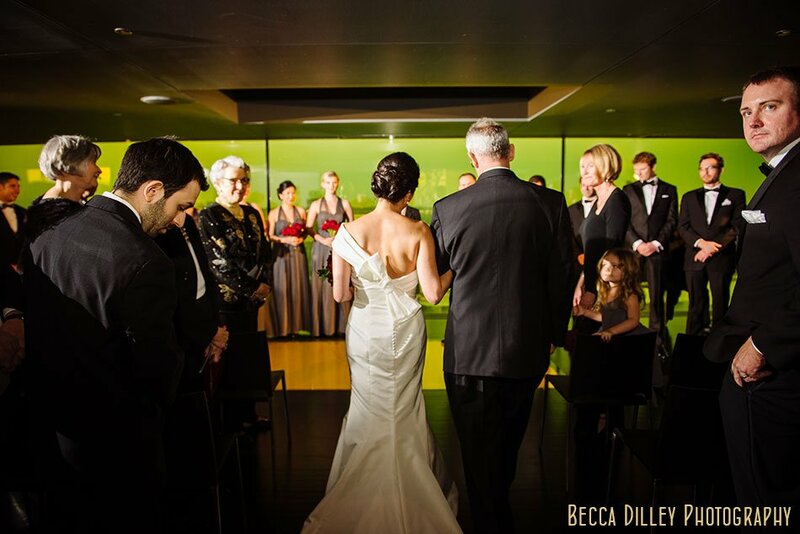 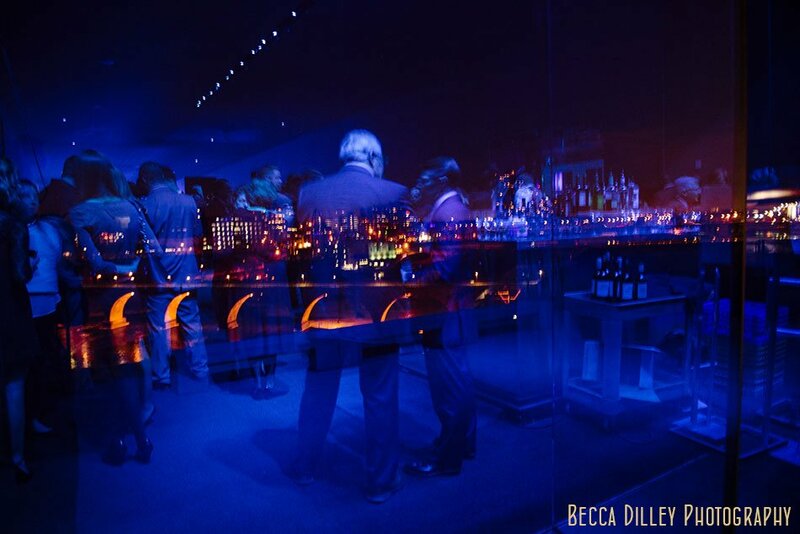 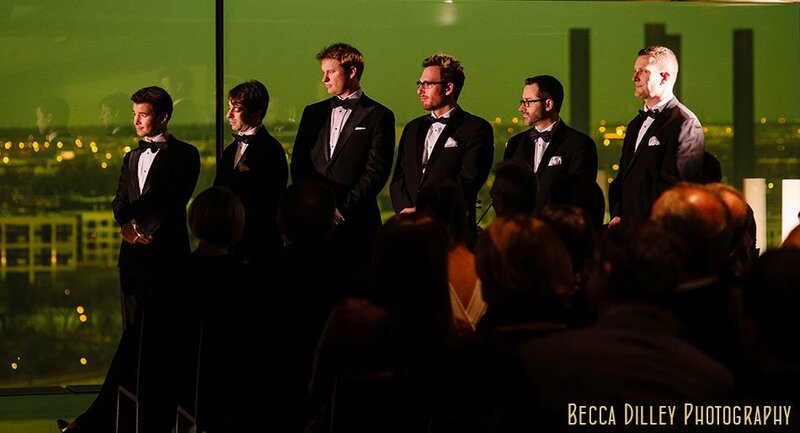 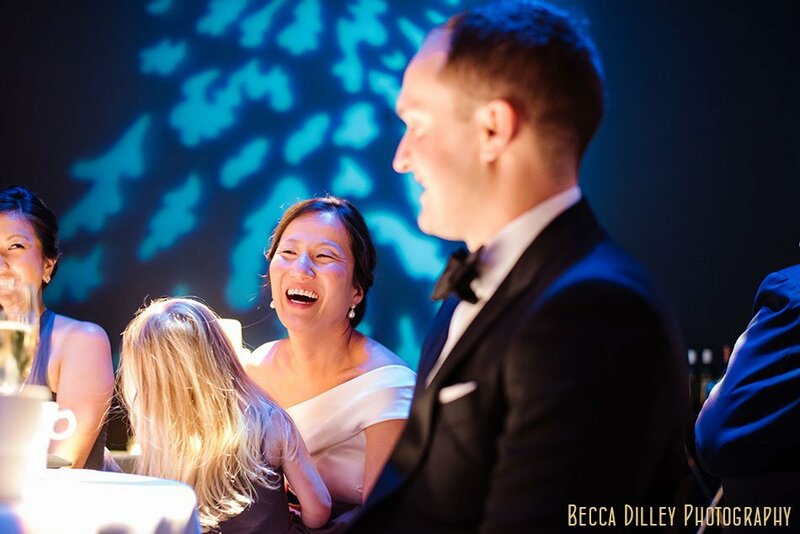 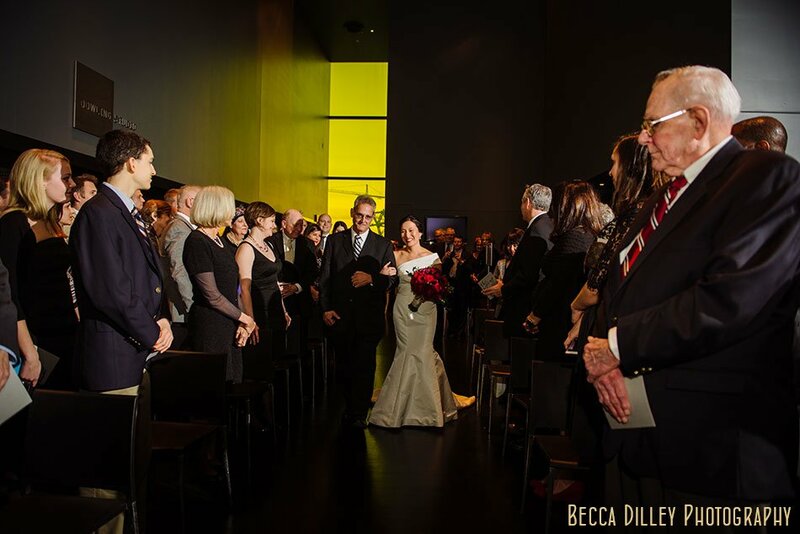 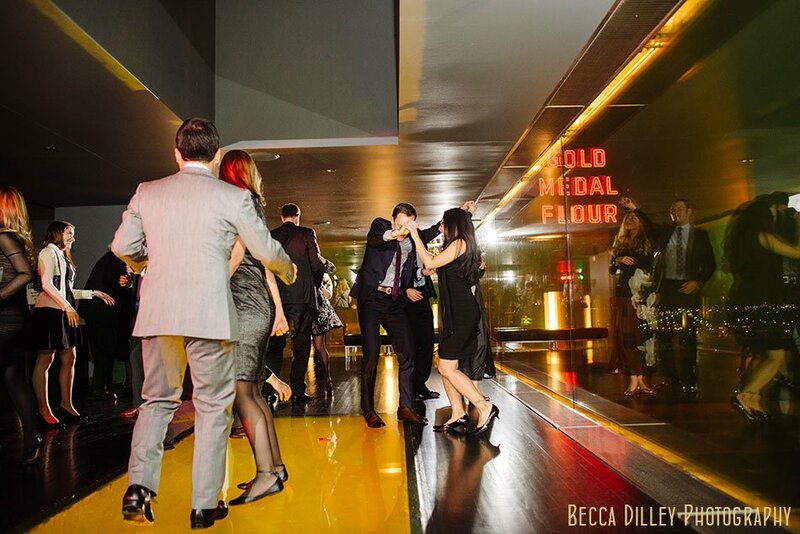 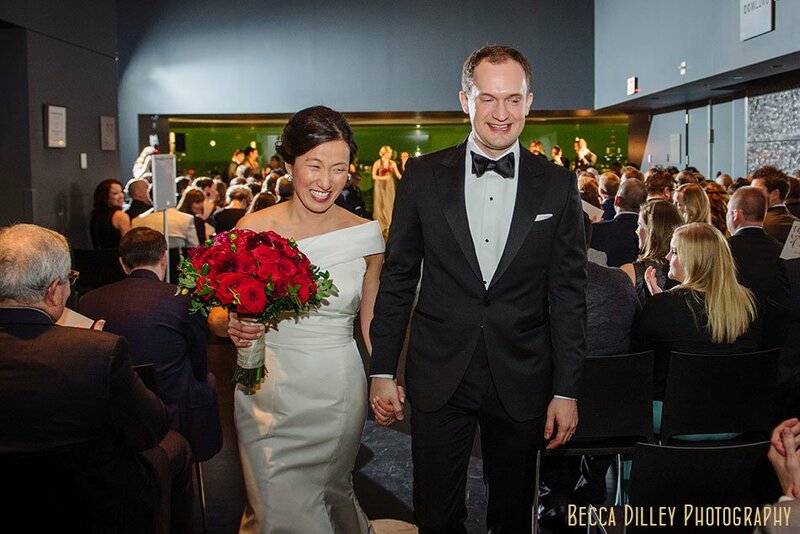 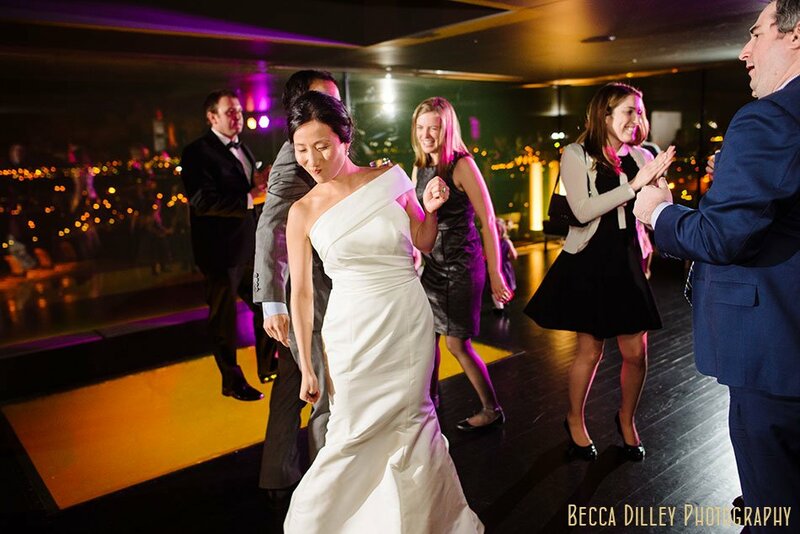 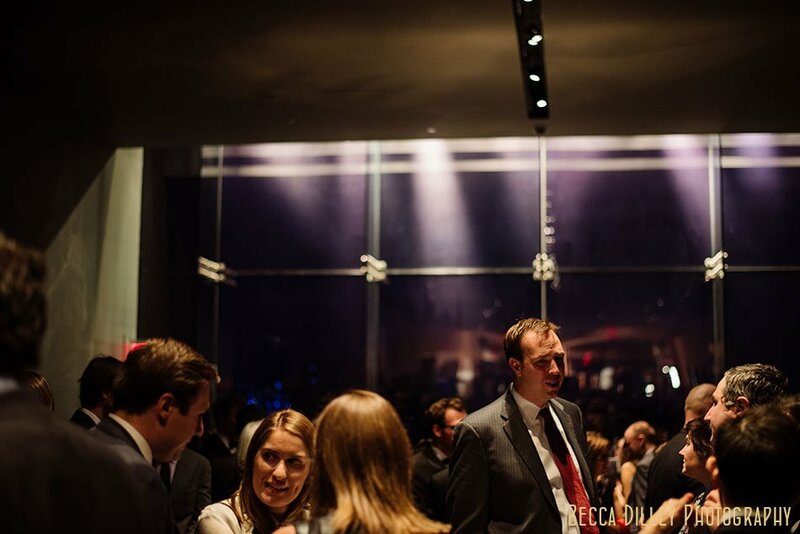 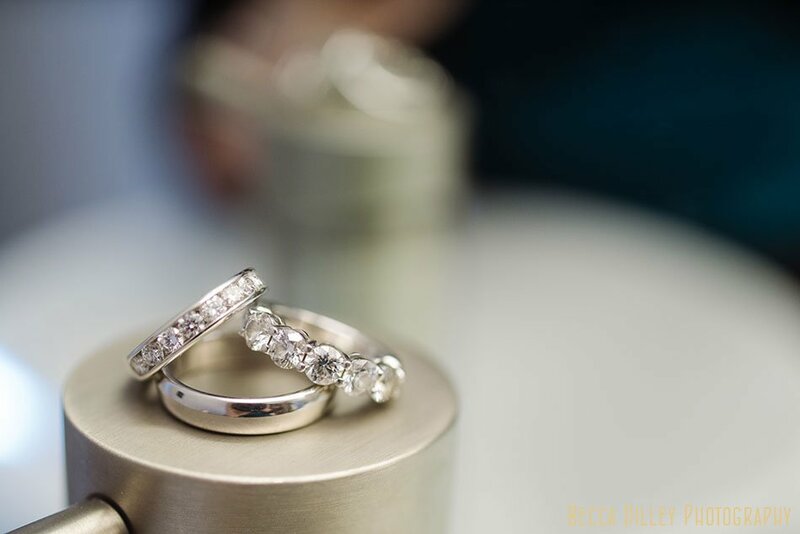 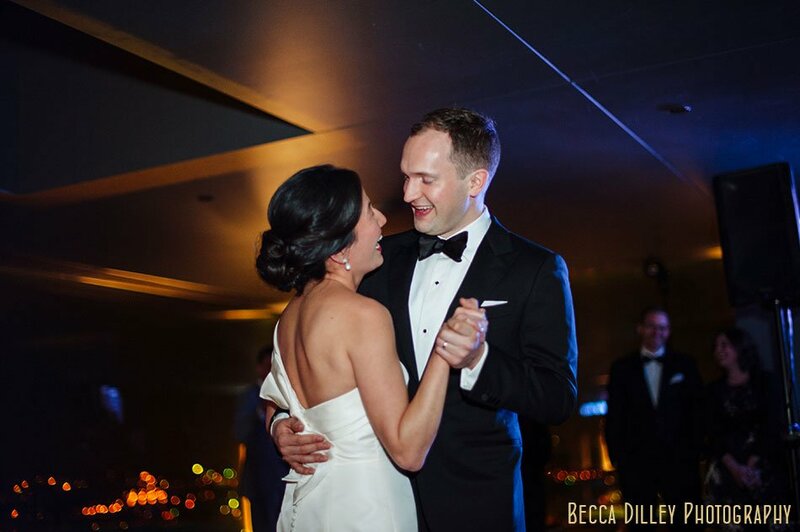 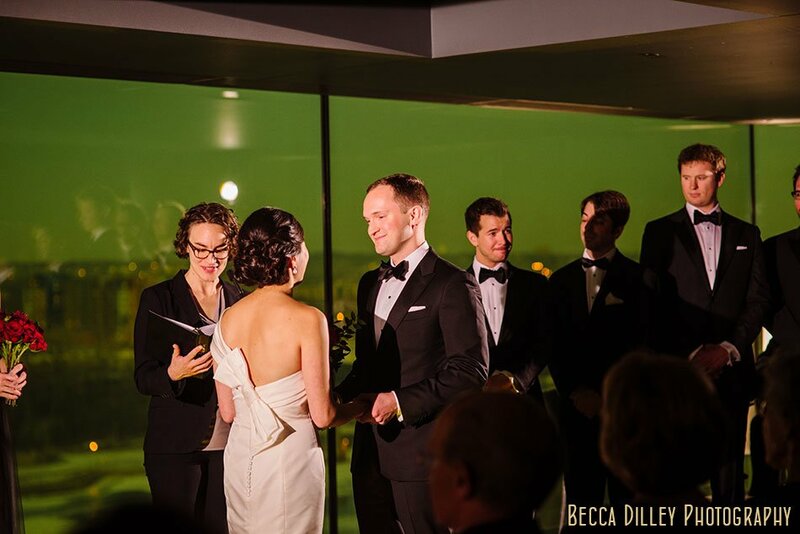 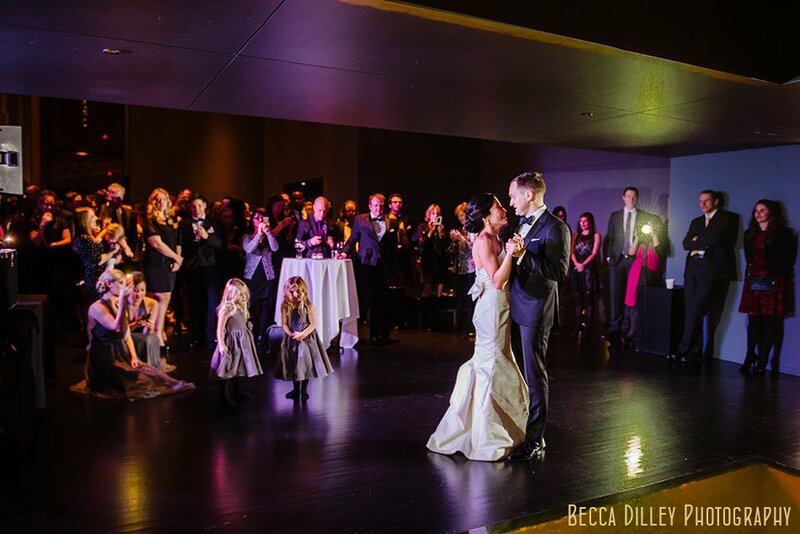 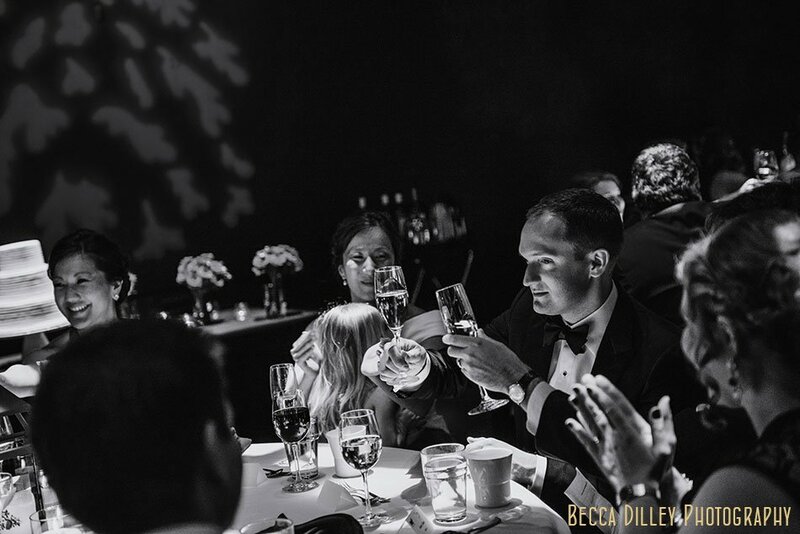 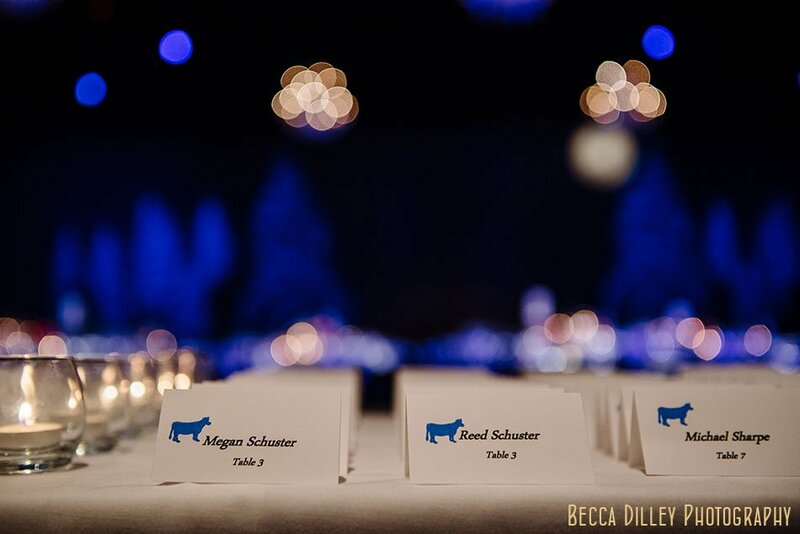 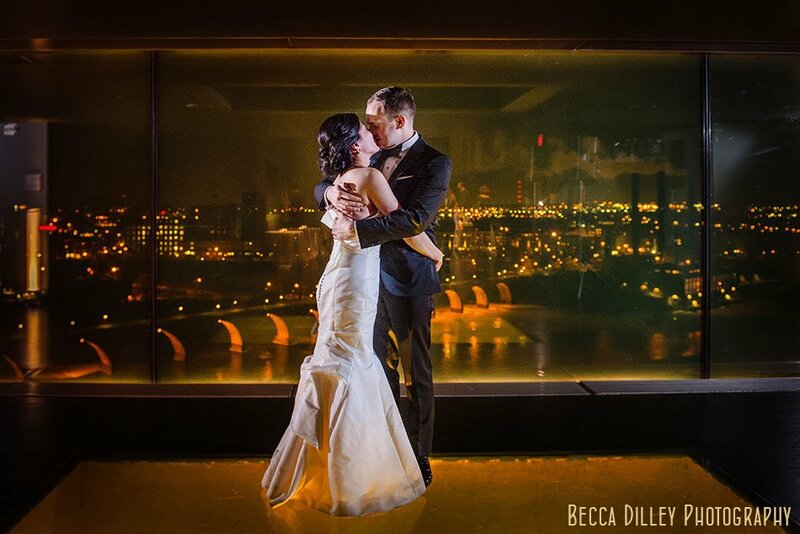 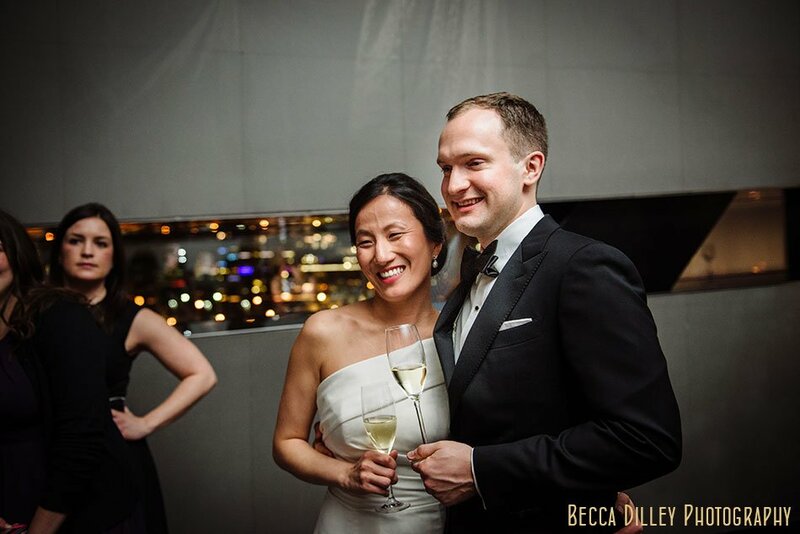 Megan and Reed were a true pleasure to work as they planned their Guthrie Theater Wedding from Manhattan. 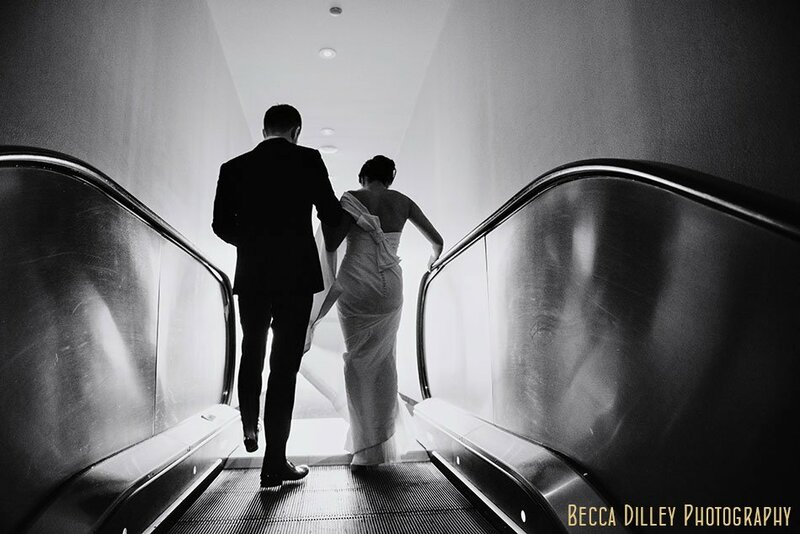 Yes, they lead busy lives, but they are decisive and caring about each other. 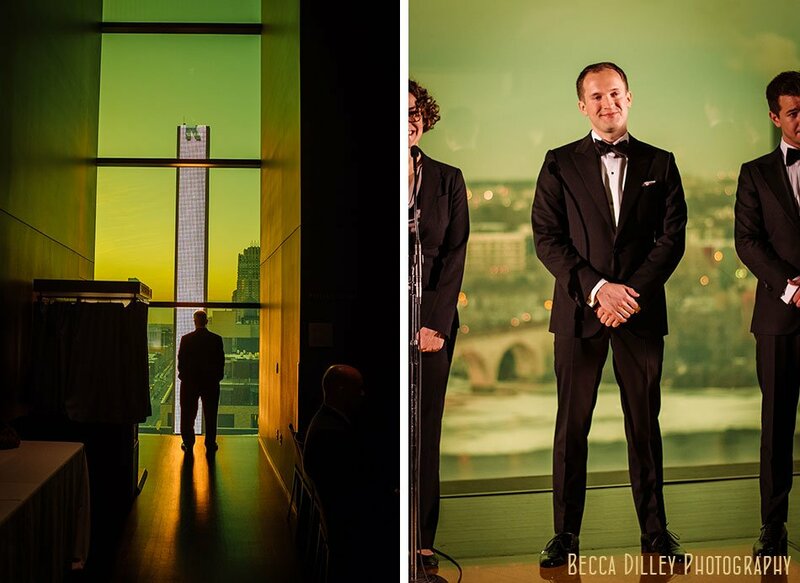 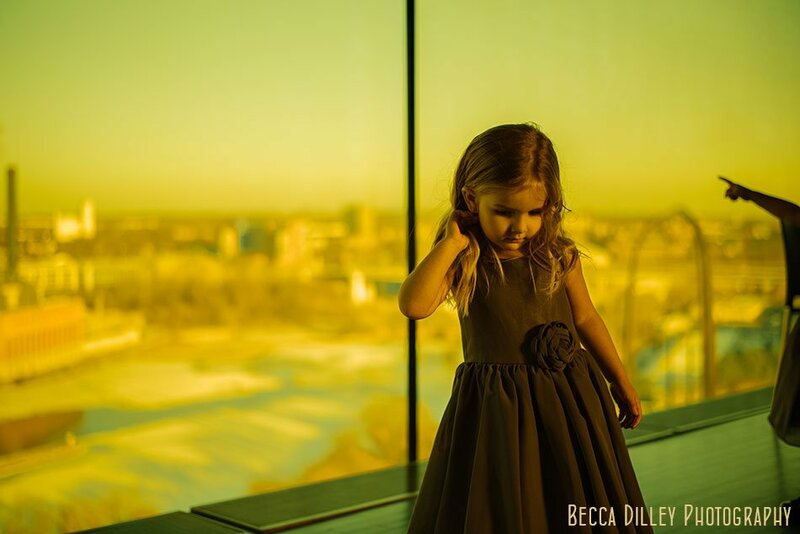 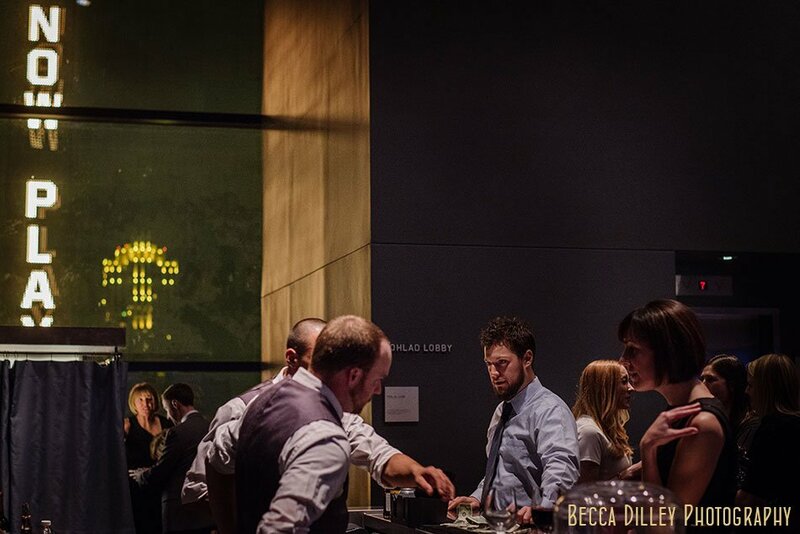 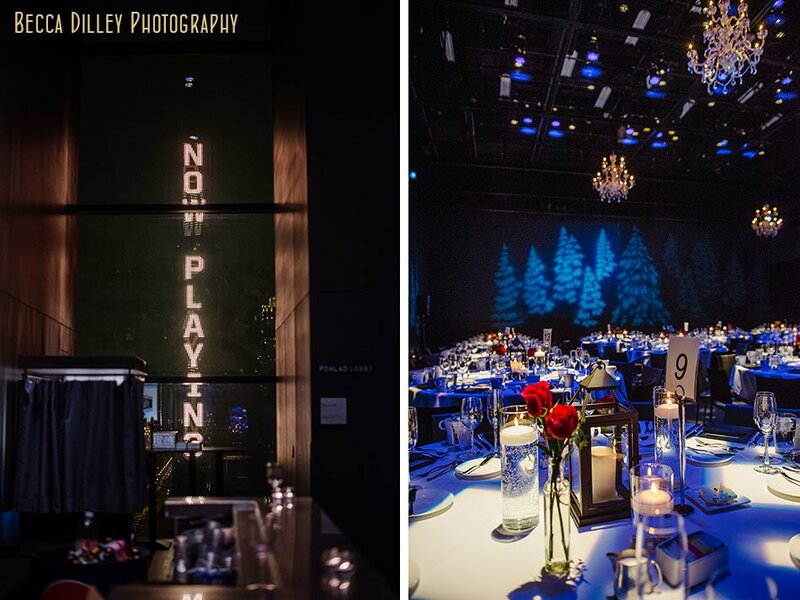 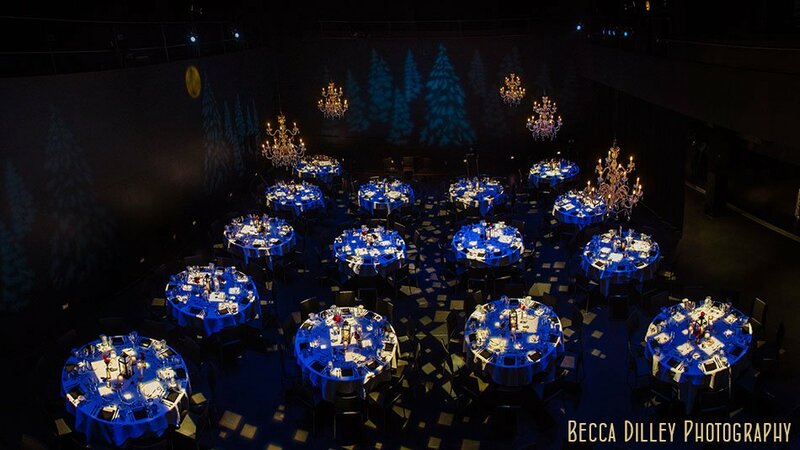 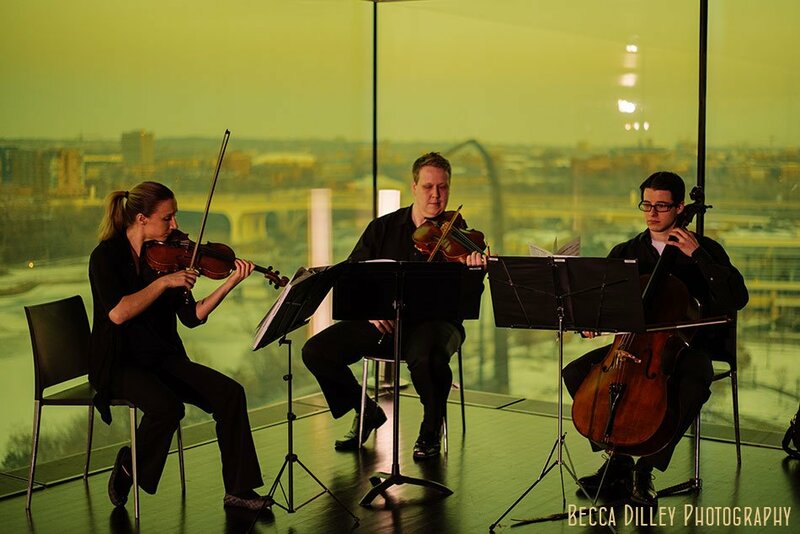 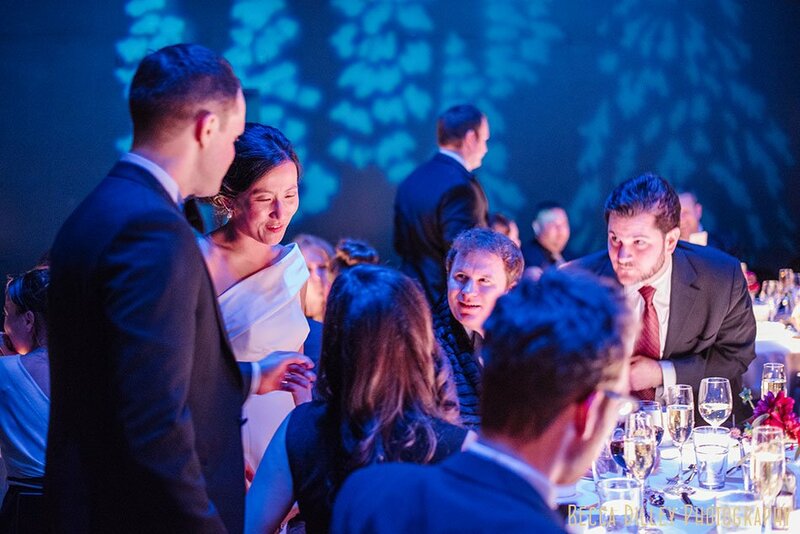 In choosing the Guthrie Theater, they chose to show the sophisticated side of the Twin Cities – the views of the Mississippi, world-class architecture, and a cosmopolitan style. 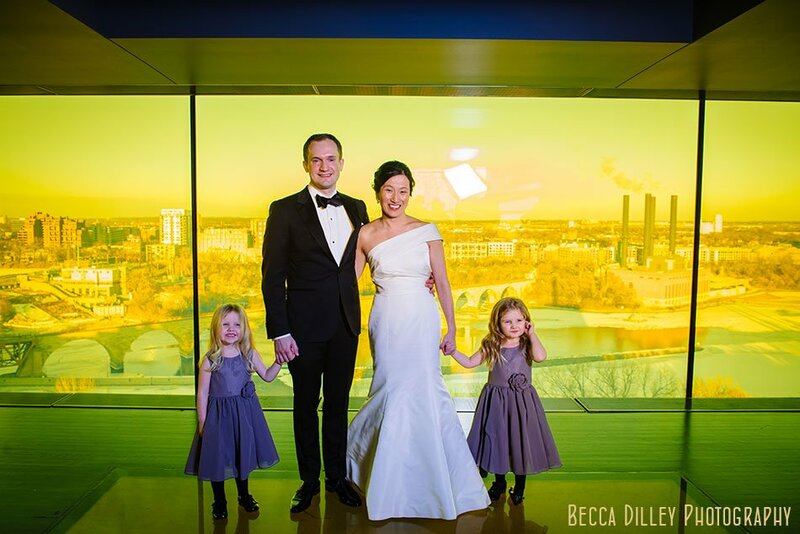 As a Minnesota transplant myself, showing off Minneapolis in winter to East Coast friends is something dear to my heart! 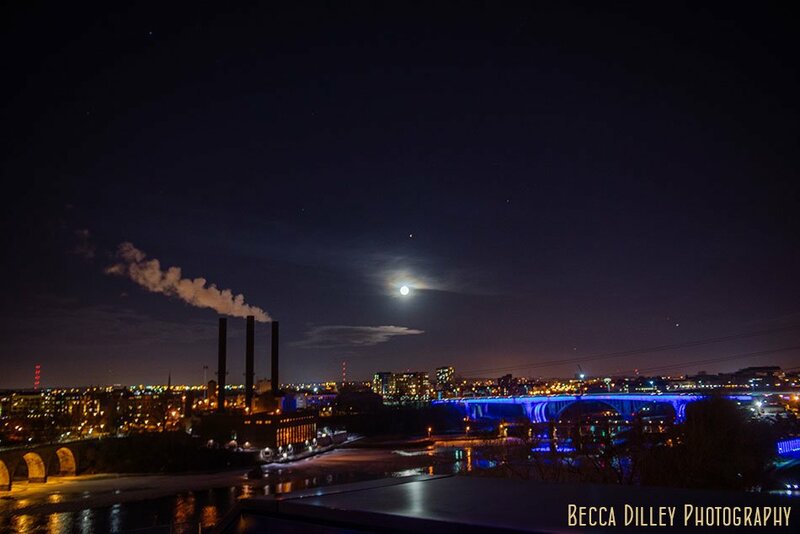 The warmth of the gathering far outweighed the cold of December, and the icy views show off the Mississippi river in all its dangerous beauty. 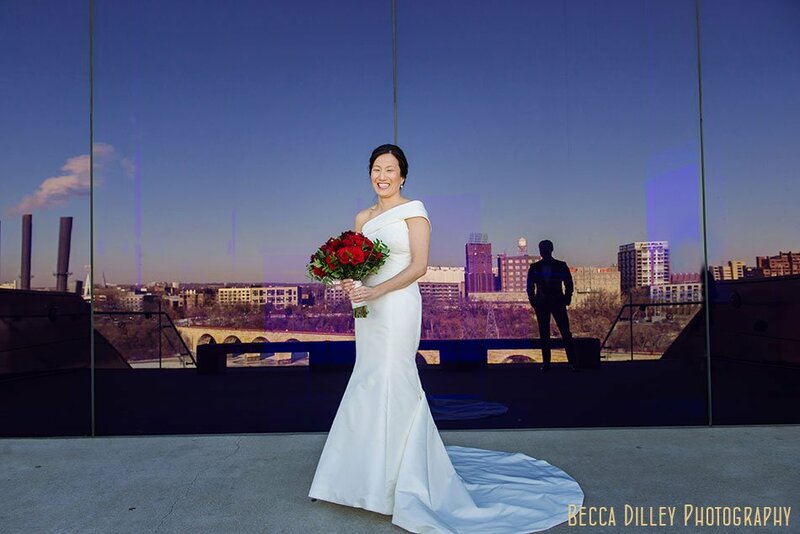 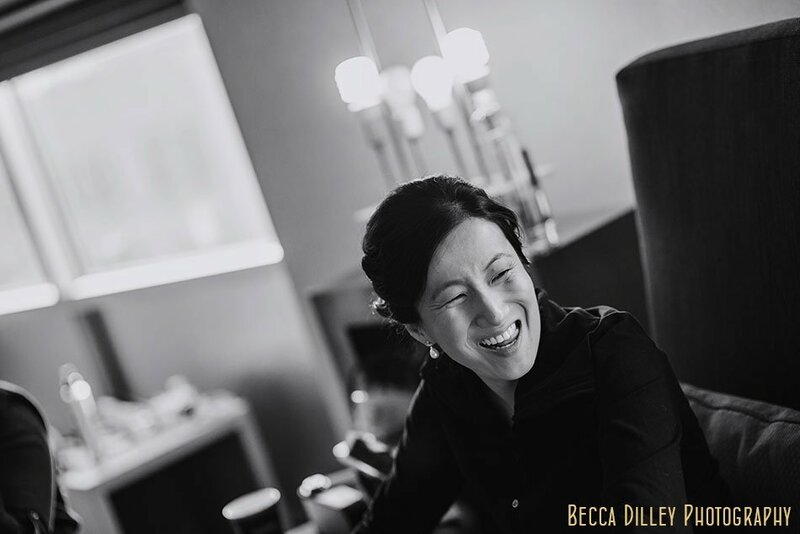 Thanks for choosing me to document such a stylish, happy, and fun day in your lives!